The last time I roasted chickpeas was for this Harvest Salad with Pumpkin Vinaigrette and they were SO good! 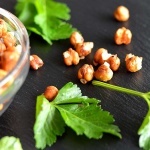 But one of the most popular (ever) recipes were my Kung Pao Chickpeas. Now THOSE were tasty! 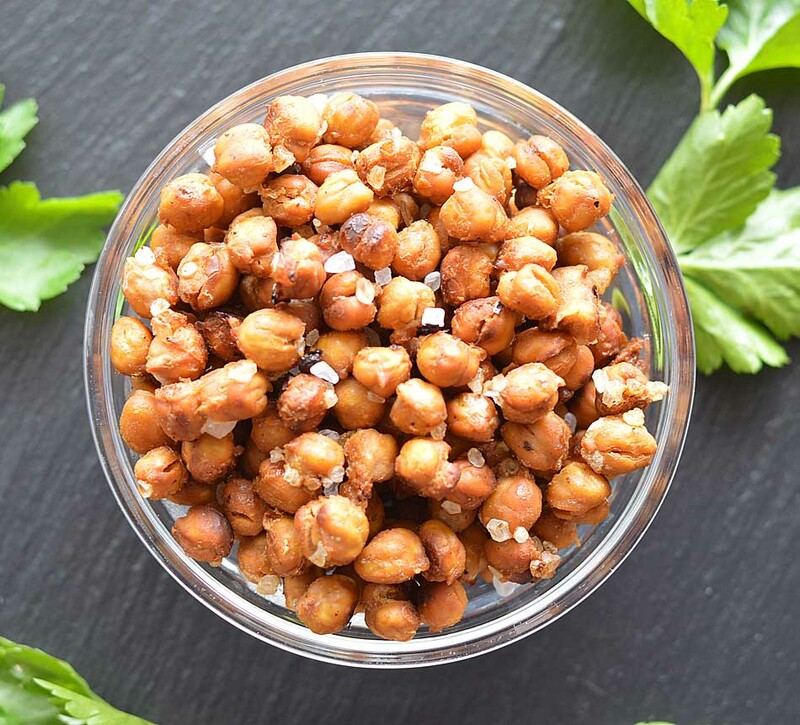 But today, I just wanted a little snack, maybe use some on salad as croutons, so I came up with these Bee-Free Roasted Honey Mustard Chickpeas. Don’t worry, as the name implies…they are completely vegan-friendly. I always struggle with the titles of these recipes because ultimately, the goal is to get non-vegans finding our vegan recipes. For me, I tend to look up a traditional recipe name and then vegan-ize it. Either way, I do like to dry the chickpeas because I feel the dressing/marinade/sauce ???? sticks better to them. Whisk together mustard (whatever you have on hand, or whichever is your favorite) and your vegan sweetener of choice. This could be maple syrup, agave syrup, etc., etc. I could go on and on, but you get the idea. 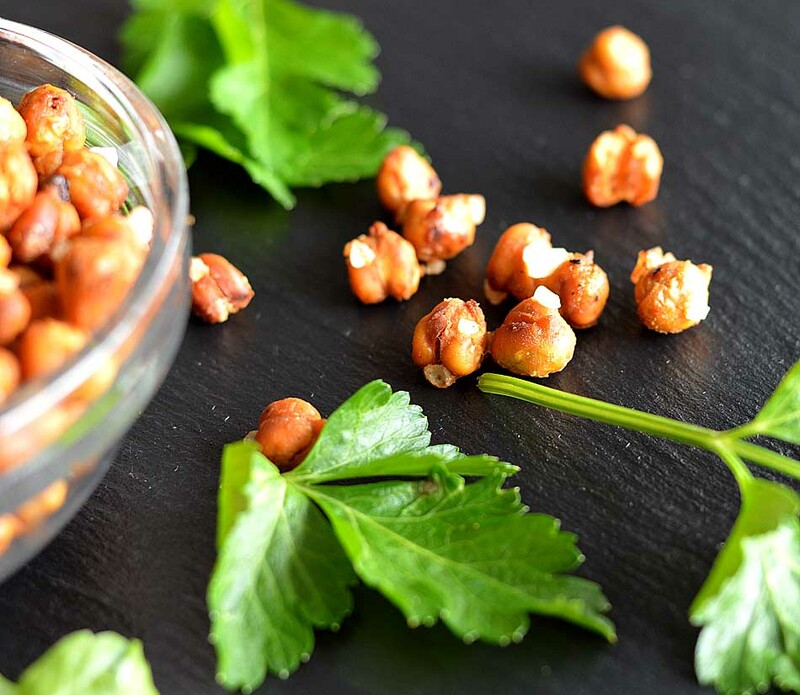 Toss the chickpeas with the dressing making sure they are all fully coated. I like to use a strainer or this fancy, schmancy kitchen spider to drain the excess. Spread them evenly on a lined baking sheet (or they will stick). I love to use a silicone baking sheet. It makes my life (and clean up) easier! Generously sprinkle them with coarse salt and bake at 400 degrees for 30-45 minutes, or until crispy. Allow to cool. 2 tbsp Maple Syrup, Agave Syrup, etc. Whisk together the mustard and sweetener of choice. 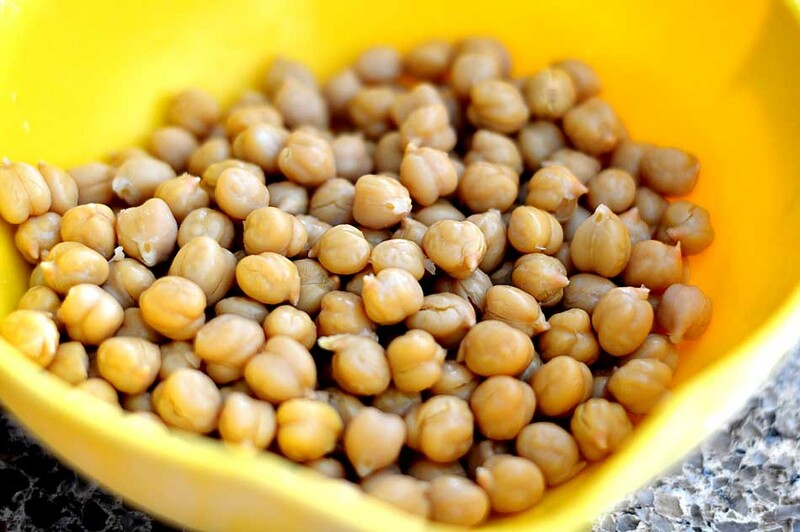 Rinse, drain and dry the chickpeas. Remove the skins by rubbing with a paper towel. 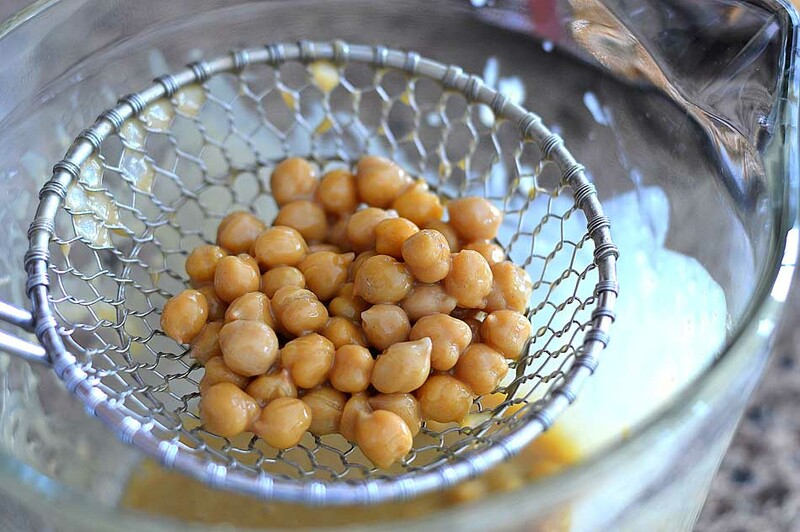 Toss the chickpeas in the dressing, making sure everything is well coated. 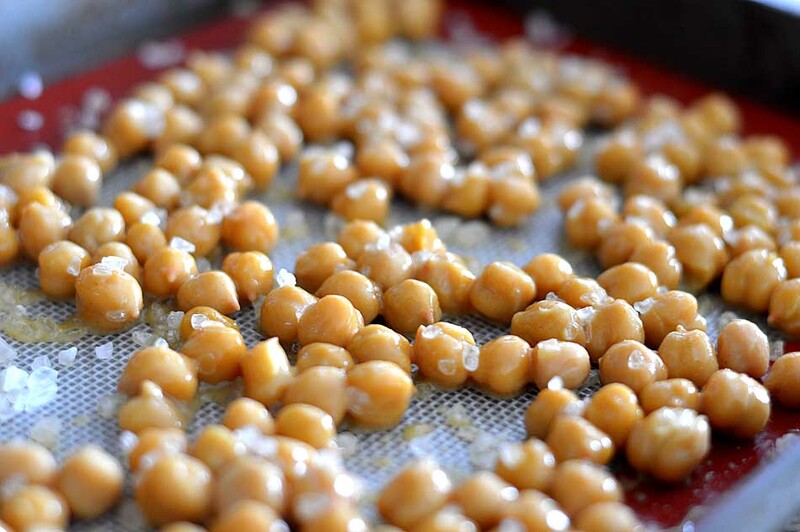 Using a strainer, remove any excess dressing and evenly distribute chickpeas on a lined baking sheet. Generously season with coarse sea salt. Bake for 30-45 minutes or until crispy, tossing often to ensure even cooking.